Wash and drain the berries. Pick out any stems or leaves. Mix the berries with the basil strips. Whisk together the sugar, salt, and cornstarch. Stir the dry mix into the berries until well combined. Butter a 8×8 baking dish and pour the berry mix into it. Mix together the flour, sugar, and oats. Add the softened butter and stir until the mixture is crumbly. 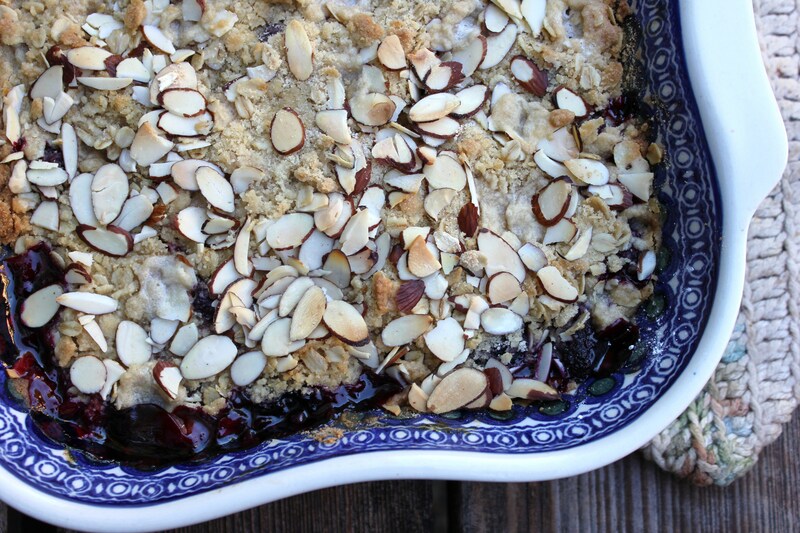 Scatter the crumbles over the top of the berries and sprinkle the sliced almonds over the top. 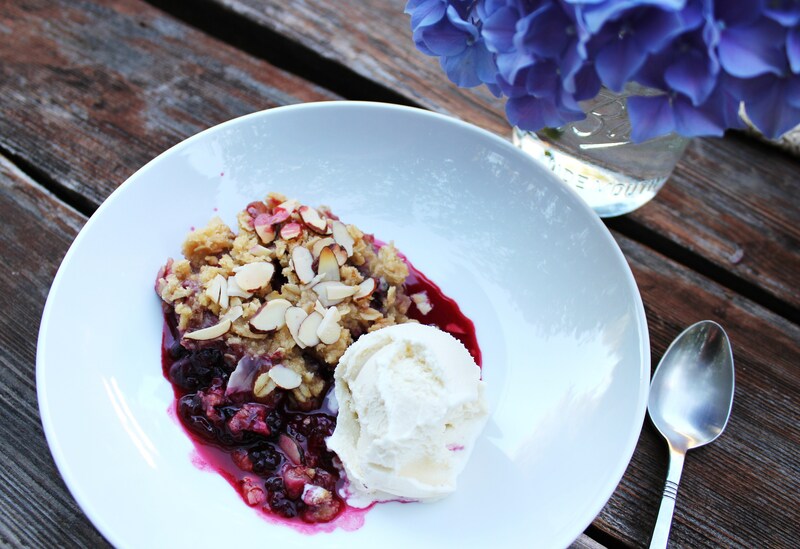 Bake the crisp for 25-35 minutes or until the berries are bubbling at the edges and the topping is a golden brown. Remove from oven. Serve warm or at room temperature with vanilla ice cream or a dollop of whipped cream. 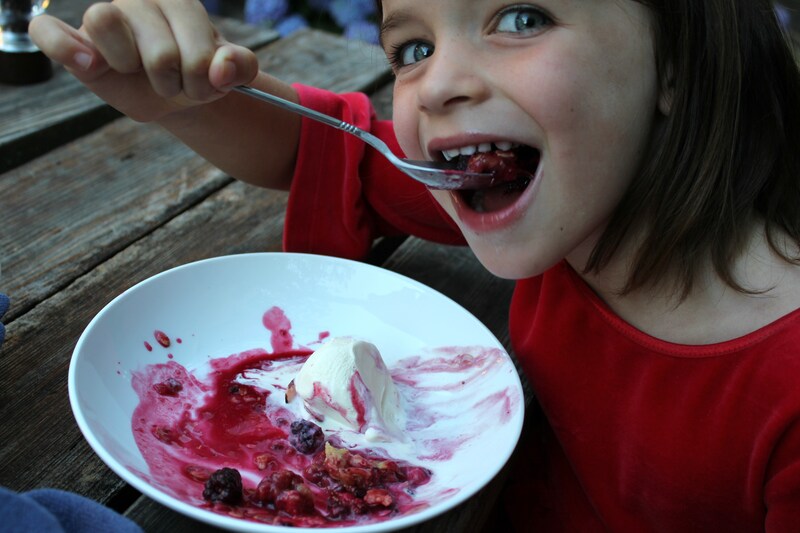 What a delicious idea, and lovely picture of your little girl. These are the experiences that make up the essence of summer, aren’t they? Very pretty, love the rustic photos!